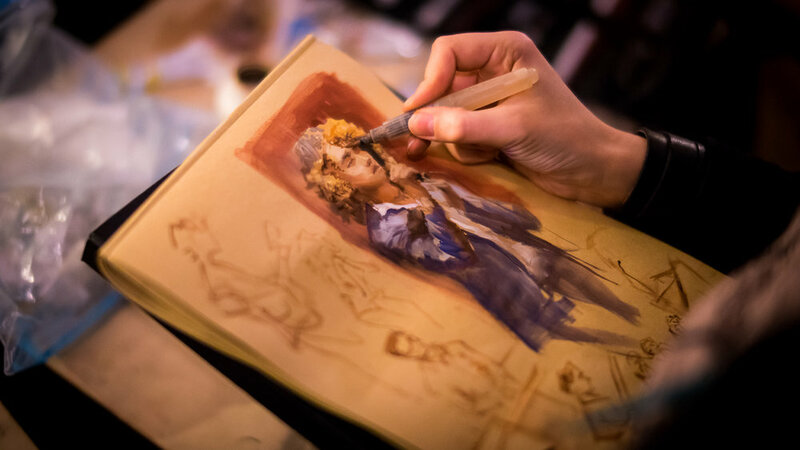 Drink and Draw Berlin has been a local artist collective since 2014. Our open studio is based aboard a 90 year old ship right on the river Spree as part of the Historic Harbor in Mitte, Berlin. Here we organize weekly art classes, workshops, exhibitions and go out to create art installations or murals for clubs and various locations. During the summer months you can find us on several festivals also, hosting open air drawing sessions and setting up immersive environments and stages. All of our artists have an artistic background in illustration, digital art, concept art, fine art and installations - whose skills you can hire for any kind of project. 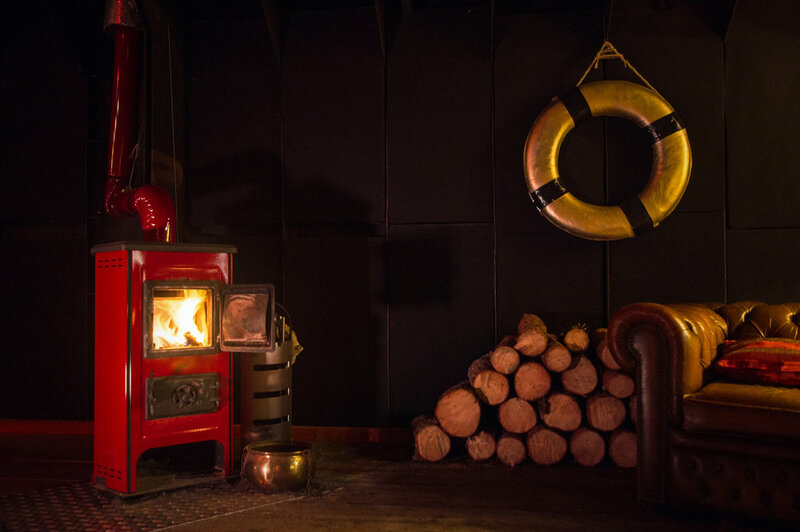 The beautiful old ship we work on is available to rent for various occasions, such as private classes, team building- and promo events, company meetings or chill after work hangouts. Instructed by professional tutors you will practice classical drawing from a life model, learning the basic techniques of composition, human proportions and rendering methods. Following the instructions is completely optional, so feel free to draw along in your own style and pace. Our teachers are available for personal advice at any time and will host an open feedback round in the end of the session. × Bringing own drawing supplies is recommended, although we have all the essentials here, if you need them. × No registration needed, just come by - there are limited seats. Warming up with short facial expressions we continue with longer portrait studies of the head and upper body gestures. We will focus on long poses working through an iterative process of sketching the basic proportions, blocking in volumes, shading and details. Poses range from 10 to 60 minutes. Working together with athletic and flexible models we try to quickly capture the movement and the essence of a dynamic pose. Poses range from 1 to 15 minutes. You're longing for your next tattoo, or did you always want to see your own design inked in skin? Come by and sketch along with tattoo artist newcomers and professionals, present your works, transfer them on tracing paper, get inked and maybe even try out using a machine yourself. We invited several tattoo artists, each with their own set up and machine, from coil to rotary to hand poke. They are all free for direct inking or future commissions. The event is initiated by our dear Elizabeth aka. Strix, who's visiting from Haifa, Israel. Entry is free, but we appreciate your supporting donations! Book the ship for a private drawing session with your family, friends, co-workers or customers. Personal wishes and ideas will be considered and add to your unique experience. Why not having your next company meeting, team building- or launch event aboard our ship? We will plan ahead together and are open for individual and customized set ups. We welcome artists, actors and musicians to book our stage for their shows and programs. Our theatrical stage is already fitted with sound system, mixer, microphone and lights. Make a unique opening for your art exhibition and have your works temporarily displayed inside the venue. They will be visible during all events and shows during that time and seen by art enthusiasts and potential buyers. Send us a request for your private event - receive feedback and a personal offer. Please reach out via our contact section - an official booking page will be coming soon. The entrance as seen from the waterfront. Welcome aboard!